Here’s Mars, now at its closest and brightest in two years. 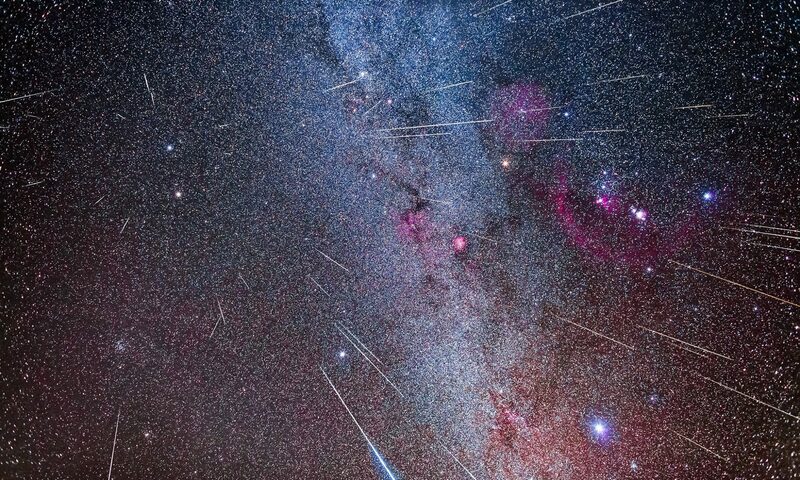 Look for it due east in the early evening, as a rising reddish star in Leo. On March 7, the Full Moon sits next to Mars, making for a fine sight as the pair rise together at sunset. I took this shot March 4, with the Moon just off the frame at the top. 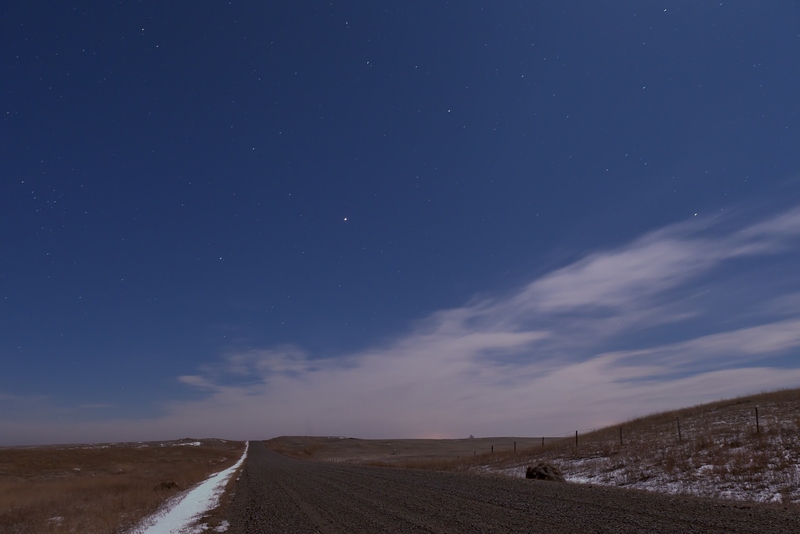 Here, the eastbound county road seems to head off across the Prairies to Mars. It’s got a long way to go. Even at its closest right now, Mars is still 100 million kilometres away.